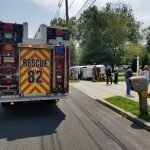 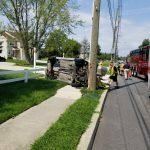 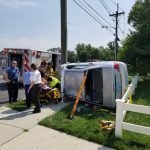 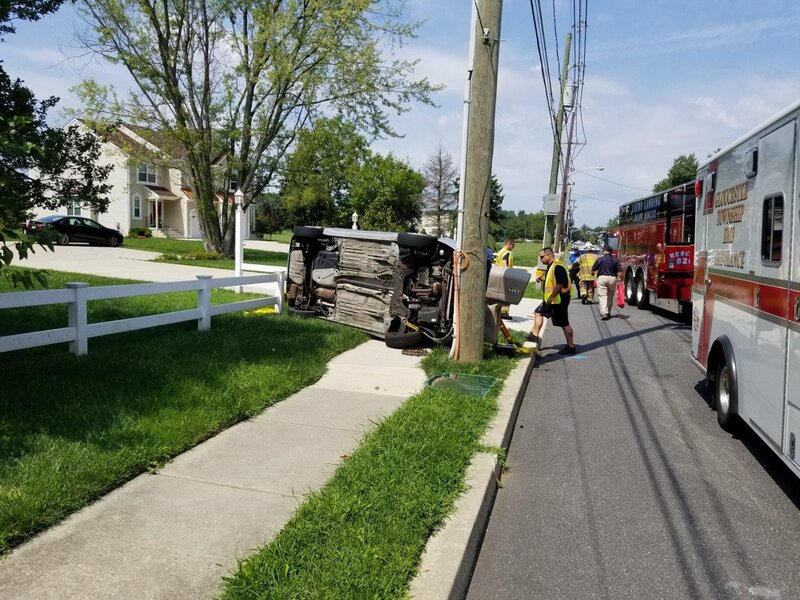 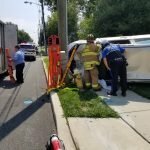 On August 21st, shortly before the onset of the eclipse, Chews Landing Firefighters were dispatched to Chews Landing Road and Roosevelt Drive for a reported motor vehicle crash with entrapment. 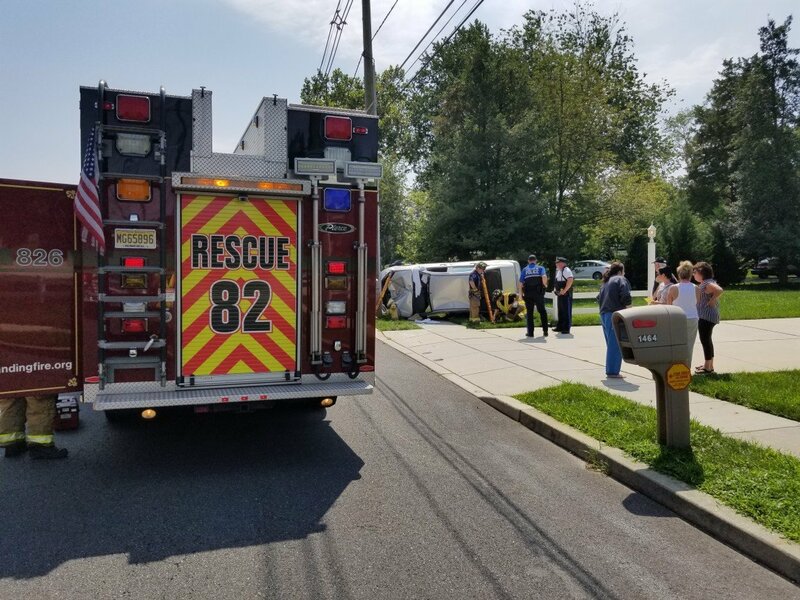 Rescue 82 arrived to find one vehicle on it’s side with the elderly driver still inside. 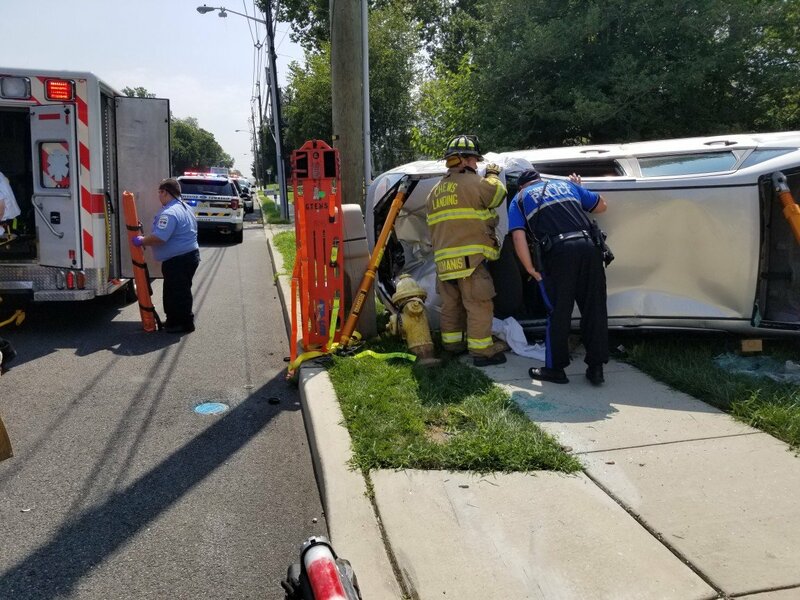 The rescue crew stabilized the vehicle and removed the windshield and rear window to provide EMS with access to the patient, while Engine 821’s crew provided fire suppression support. 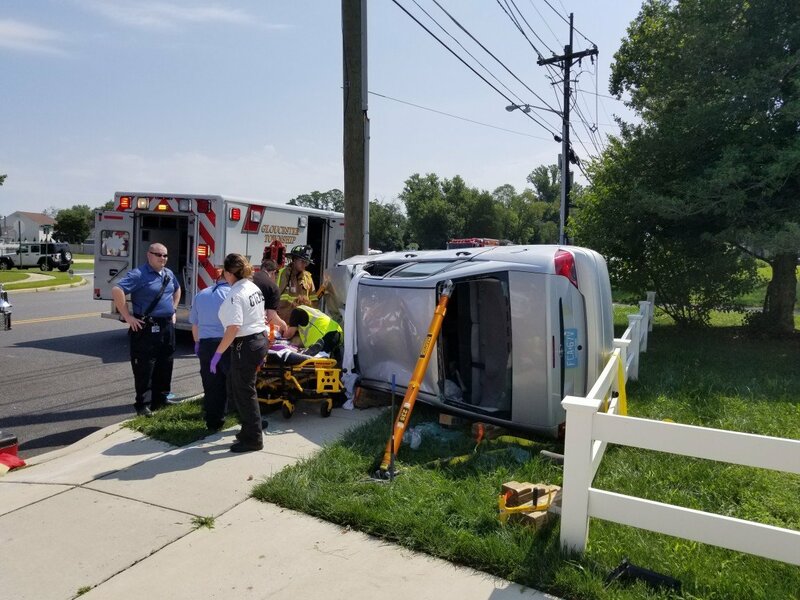 Fortunately it was determined that the driver had only minor injuries and she was able to be removed through the windshield opening.